Carnivores don't have to look very hard to find America's most popular food: hamburgers are easy to come by in Oakland. Here are the the newest burger joints around The Town, each of which serves grilled beef (and more) in a diverse range of styles. A+ Burger is a burger joint that also offers rice and noodle bowls, salads and more. The project of owner Tiffany Chung, it's located at 6228 Telegraph Ave. in Fairview Park. Diners will find Asian-influenced burgers, like the Korean BBQ Burger with a fried egg, mozzarella and housemade sauce; or the Menchi Katsu Burger (a breaded deep-fried pork patty with shredded cabbage and peanut lemon sauce). Chicken sandwiches, fish, and vegetarian patty options are available for those who avoid red meat. For now, the joint is BYOB. A+ Burger seems to be a welcome addition to the neighborhood, at 4.5 stars out of 12 reviews on Yelp. 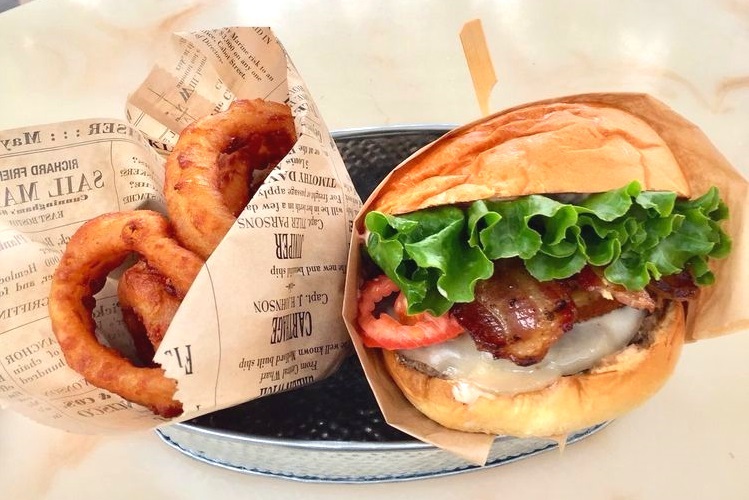 "The owner was so sweet and full of energy, and it was clear that she had put so much care into the restaurant," said Yelper Priya S., and added that the Menchi Katsu burger was, "Crispy, juicy, gooey, fresh, umami... The lettuce was super-fresh, the sauces unique and tasty, and it was clear that the patties were freshly made. The fries are worth the trip alone." And Yelper Tatiana T. wrote, "Satisfied all my burger cravings even though I didn't actually get a traditional patty. I got the Korean BBQ burger ... Sweet beef, crunchy lettuce, and sweet onions all sandwiched between an amazingly toasted brioche bun. Scoffed it down so fast." A+ Burger is open from 11:30 a.m.-9:30 p.m. daily. 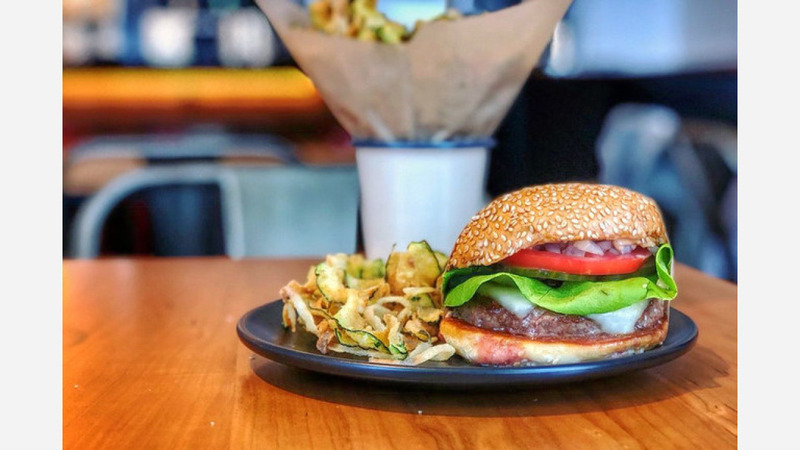 Roam Artisan Burgers is a traditional American eatery specializing in grass-fed burgers, Straus Family Creamery shakes, and more. The location at 1951 Telegraph Ave. is its second in the East Bay and fifth in California, as we recently reported. 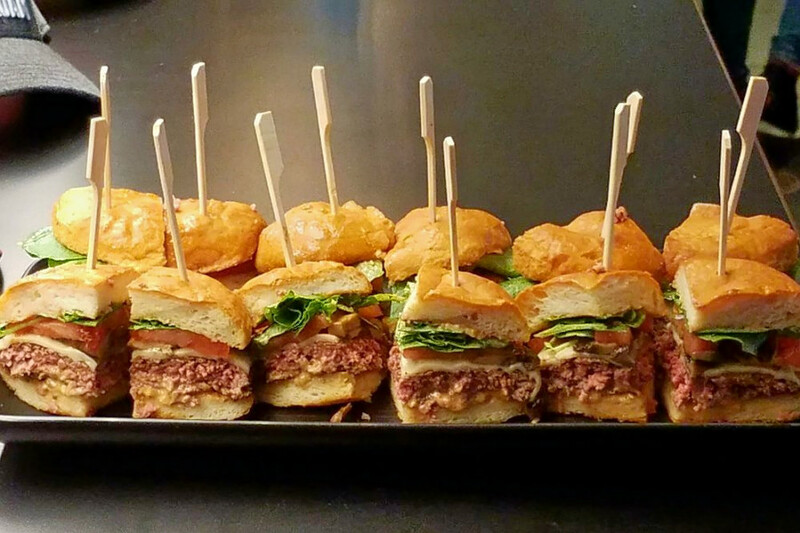 The patties on offer include grass-fed beef, free-range turkey, bison, elk, and veggie. The burgers can be customized with individual toppings or in a range of styles, such as the seasonal springtime burger: chimichurri, fresh mozzarella, tomato, arugula, and herb mayo. Roam Artisan Burgers currently holds four stars out of 12 reviews on Yelp, indicating good reviews. "I walked into Roam a few days ago looking for a good burger spot," Yelper Sami M. wrote. "Instead I found a great one. ... I got the classic burger with cheddar this go around, which came out quickly and tasted great." "Roam is a great new addition to the Uptown," Yelper Tony U. said. "Will definitely come here again. Word of warning, if you walk in and do not advance order, the wait is around 20-25 minutes, not including the line if there is one." Roam Artisan Burgers is open from 11:30 a.m.-10 p.m. daily. The Hideaway is an upscale burger bar offering specialty cocktails and alcoholic milkshakes to accompany its pub-style burgers and sides. It's located at 5634 College Ave. in the former space of Bourbon & Beef, as we previously reported. On the menu are an array of signature burgers like the Hangover Burger, with cheddar and a fried egg; a lamb burger with feta cheese, grilled peppers and mint jelly; and a tuna burger with cucumber and ginger salsa. Additionally, The Hideaway offers a wide selection of appetizers and sides, like the curly fries, mac and cheese, and hummus with flatbread. Diners can round things out with a dessert like the cherry and bourbon milkshake. The Hideaway currently holds four stars out of 45 reviews on Yelp, indicating a positive response from users. 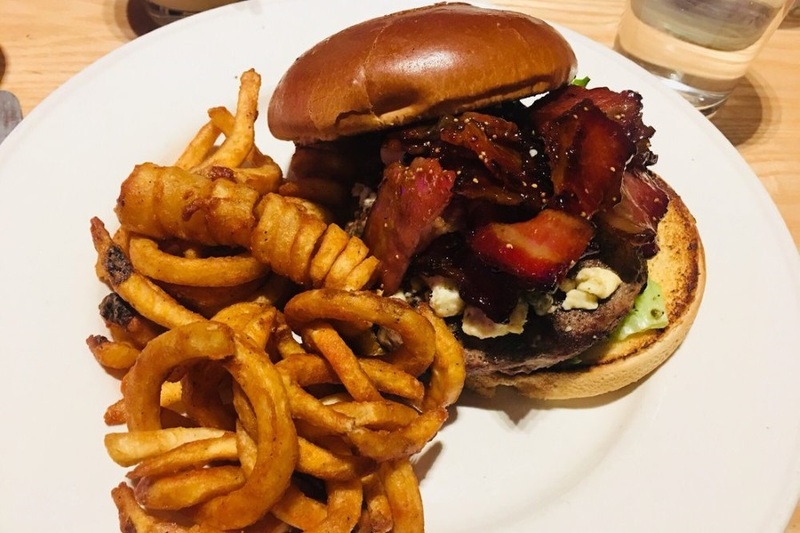 Yelper Maggie L. criticized the service, but wrote of the food, "when I pay for a fancy burger rather than go to a quicker more basic spot I really want it to feel worthwhile and it definitely did. The burger was huge (I rarely don't finish a burger and this one bested me). I asked for medium and it was perfectly pink inside." "This simple menu is clear - it's a burger place that caters to grown-ups who want alcoholic beverages," Yelper Steve B. wrote. "Biggest issue: they overcook the burgers. We asked for medium rare. We got well done. We sent it back and got medium well. They need to work on serving more pink when requested." The Hideaway is open from 11 a.m.-10 p.m. daily.